On Sunday, September 17th, eight Mercy Multiplied residents displayed their public commitment to Christ and were baptized at Destiny Church in St. Louis, Missouri. Destiny Church is the residents’ “church home” while they attend the Mercy program. They were baptized by Lead Pastors, Jim and Jessica Stern, and Student Pastor Jonathan Thomas. The eight residents received baptism after Pastor Allensworth closed his sermon in prayer. 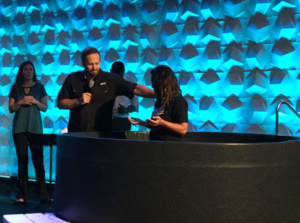 To listen to Pastor Allensworth’s full message from this baptism service, please click here. 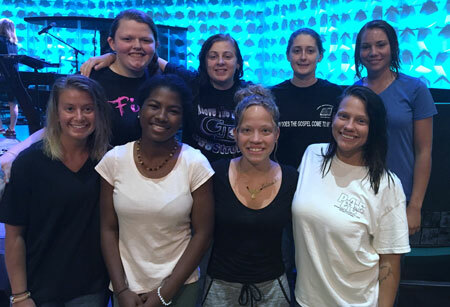 Mercy is grateful for the support of Destiny Church and for the “church home” provided to the St. Louis residents as they learn and grow in their faith.